The Jr. High Dodgeball night is coming up, and we have this problem where all the moms think they can sign up for the event. Alright moms, back off, this event is for the kids. 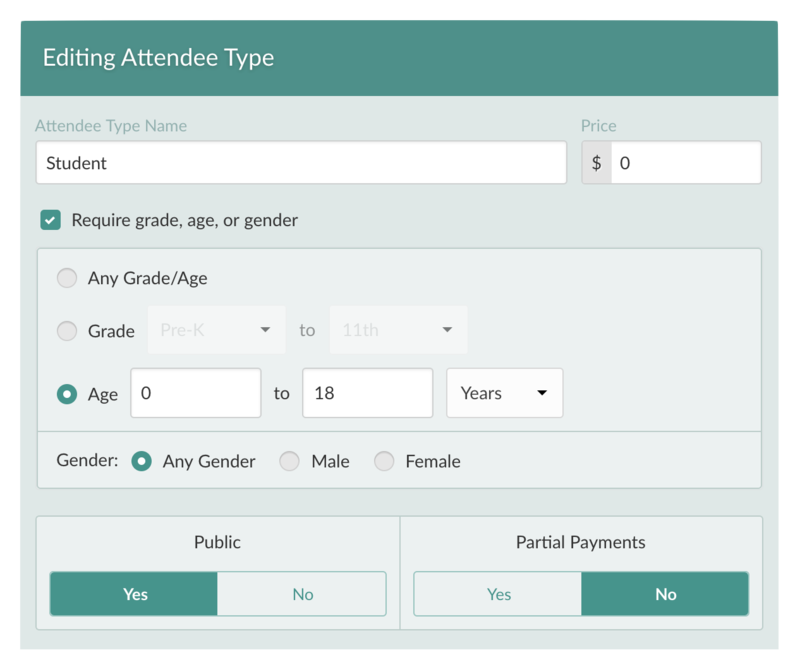 With Attendance Type Filters, you can make sure the right people sign up for the right attendance types for your event! Starting today, you can require a grade, age, or gender filter for any attendance type. 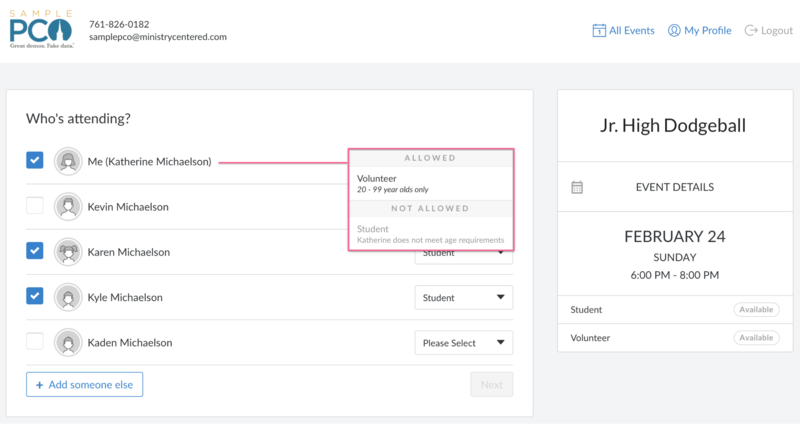 When a new person starts to register for an event, Registrations will immediately ask what the required field is, to make sure they don’t go through the whole registration process before they find out they don’t fit in the specified attendance type for the event.